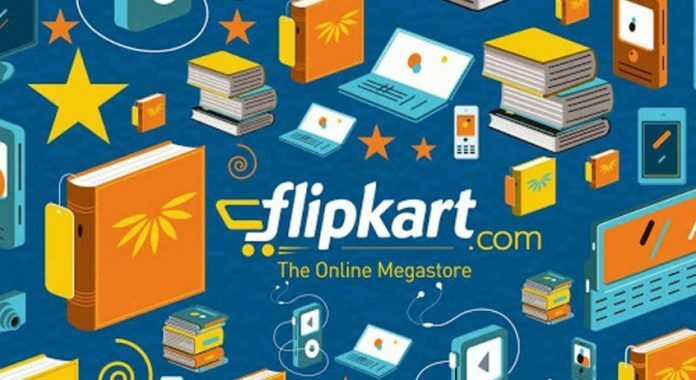 Flipkart Big 10 sale offers: Flipkart has unveiled Big 10 sale marking its tenth anniversary of the e-commerce giant. The sale has begun on the same day when the Amazon’s Great Indian Sale comes to an end. This Flipkart Big 10 sale offers discounts on smartphones, HD TVs, cameras, ACs and other accessories. The shopping extravaganza continues until May 18 and provides huge discounts on Flipkart. Apple iPhone 7: The e-commerce platform is making a huge noise about the Apple iPhone 7 price in Flipkart. It claims the “lowest price ever” on May 15. However, the variation might not be so high to expect a huge discount on iPhone 7. On the other hand, Flipkart has also announced a special deal on Xiaomi Redmi Note 4. Apple Watch: Another amazing deal for all the smartwatch lovers out there. Flipkart offers flat discounts of Rs.5,000 on Apple Watch series. HDFC Bank credit card users get avail another Rs 1,500 off on Apple smartwatches. This deal brings down the Apple Watch Series 1, 38 mm model for Rs. 18,900 and Apple Watch Series 2 for Rs. 29,900. LED TVs: As the festive seasons are no nearby, Flipkart sale is up with mouth-watering deals on big-screen televisions. Flipkart Big 10 sale offers huge discounts on the smart HD TV range across various brands. Panasonic Shinobi 49-inch fullHD smart TV is listed for Rs 49,999 which of Rs 79,000 MRP. For budget buyers, VU 40-inch fullHD TV is available at Rs 20,999 against it MRP of Rs 27,000. Onida 42-inch full HD Smart LED TV is slashed by Rs 3,000 and is now up for Rs. 27,999. Besides these, users can also get cashback on selected credit/debit cards and exchange offers. Google Pixel: Another standout deal in the Flipkart Big 10 sale is the Google Pixel. You can avail the beast for an irresistible price of Rs 34,999. If you are near to the Rs. 30,000 segment, go a step high and own Google Pixel which retails at Rs 57,000 actual. 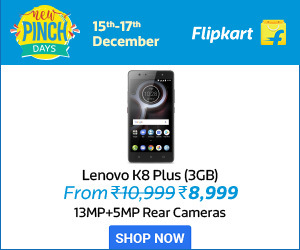 Other smartphones offer on Flipkart: Flipkart Big 10 sale also hold deals on other smartphones as well. Flipkart’s providing Rs 5,000 off on Oppo F1 and Oppo F3 under the exchange. Also, there is Rs 4,000 exchange offer on Vivo V5 and V5 Plus models. These Oppo and Vivo phones are protected under Flipkart’s Buyback Guarantee offer.